Contributed by Deborah Marshall. Writer and journalist Deborah Marshall is a Past President of the Missouri Writers' Guild and Founder of the Warriors Arts Alliance. Her work-in-progress is the first in her Yesterday's Ladies historical novel series. 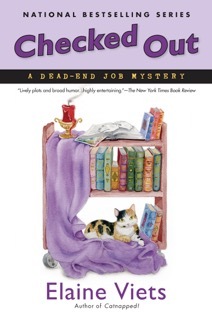 Your latest book, Checked Out, is the fourteenth mystery in your Dead-End Job series. Have you always been a series writer? Yes, I have. I’ve written three series. The first was the Francesca Vierling series, which was hardboiled. Then there’s the Josie Marcus Mystery Shopper series, which is a cozy, and the Dead-End Job series, which is traditional mystery. When I first started writing novels in 1997, publishers wanted series. They still do, because a series sells in the past and into the future. My books are all written so a reader can pick one up, read it and it’s not a problem. They are not written in any particular order. If someone likes that book, what I hope they’re going to do is buy the others. If you like to read a series in order, you read Shop Till You Drop, then you can read all of the rest by going to my website, where all my books are listed in order. Does each series have its own female protagonist? Yes. The Dead-End Job protagonist is Helen Hawthorne, who is a St. Louis woman on the run from her ex-husband and she winds up in South Florida in Ft. Lauderdale. There, she finds a home in the Coronado Tropic Apartments. Her landlady, Margery, becomes sort of a mother figure, and there, Helen finds the family she’s never had. She’s a PI working undercover at a different low-paying job in each book, from telemarketer to hotel maid, to name a few in each book. Her new husband, Phil, is also a PI. Checked Out is set in a library. Why a library? I like libraries. That’s where the readers are. To research this book, I worked as a volunteer at a local library in Ft. Lauderdale, Galt Ocean Mile Reading Center. I was a volunteer shelver, shelving books and DVDs. In Checked Out, a man who’s quite wealthy, has a John Singer Sargent painting. Most people know John Singer Sargent as the man who painted beautiful society ladies, but in his forties, he had a mid-life crisis and he switched from beautiful women to alligators. I have my character’s grandfather winning this John Singer Sargent painting, “Muddy Alligators,” in a poker game and his wife hates it, so she banishes it to the attic. When his son finds it, he’s an old man and he’s getting slightly dotty. He tells the family it’s in a safe place. He puts it in a book and after his death, all his books are donated to the library. Somewhere in these thousands of volumes donated to the library, is a million dollar painting. That’s what my character Helen is hired to do. She has to work at the library as a shelver and she has to search through these thousands of books for the painting. You're working on a new series? Yes. It's currently being shopped in New York. I’m writing another dark series featuring Death Investigator Angela Richman. A DI investigates all unexpected and unexplained deaths that don’t happen under a doctor’s care: accidents, murders, suicides. She works for a medical examiner and is responsible for the dead person. The police handle the scene, all but the bod. In January 2015 I took the MedicoLegal Death Investigators Training Course for forensic professionals at St. Louis University. The series will be as accurate as possible. I’m on Twitter @ElaineViets and Facebook, Elaine Viets Mystery Writer. My website is http://www.elaineviets.com I have a book giveaway twice a month. Just go to my website to enter. I blog at The Femme Fatales, which includes Charlaine Harris, Donna Andrews, Dana Cameron, Toni LP Kelner, Kris Neri, Marcia Talley, Mary Saums, Dean/Miranda James, Hank Phillipi Ryan, and Catriona McPherson at http://www.femmesfatales.typepad.com/ and also at The Kill Zone, https://killzoneblog.com/, an insider's look at writing by top mystery and thriller writers and winner of three Writer’s Digest 101 Best Websites for Writers awards. All bookstores, Amazon and barnesandnoble.com as hardbacks, paperbacks and e-books. Great interview I knew a lot of new information about this author. I read two books from her Dead-End Job series and they impressed me. 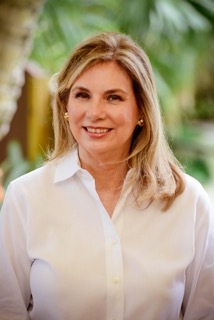 I'm going to read her new books but only after finishing reading college paper writing service reviews at http://www.topwritersreview.com/buy-cheap-research-paper-writing-services/. ( I must choose the best service for my daughter). So, hope I'll like your new books. Interesting and inspiring person Elaine Viets is. I wish I could have a writer's sense of style and form as she is from birth. I had to work very hard to master my skills and I'm ready to share my tips and tricks on how to do that fast and painfulness. You can continue reading here to find a detailed descriptions. Good luck!